Here's a little interview I did with Bribery's Jodi Elliott. 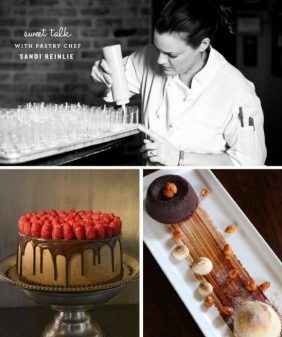 In 2013, she was named Food & Wine's People's Best New Pastry Chef. By the end of this weekend I’ll be craving a big kale salad, but for now – the Austin Food & Wine Festival continues. 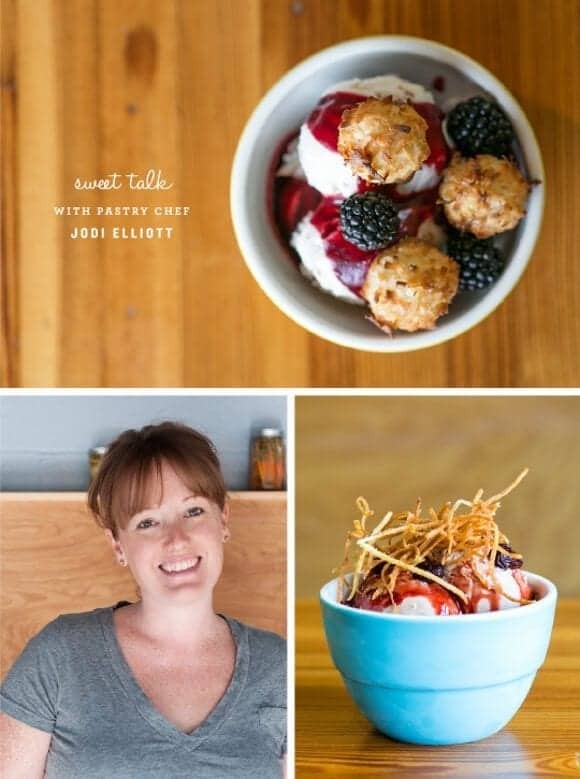 Here’s a little interview I did with pastry chef Jodi Elliott. Last year, she was named Food & Wine’s People’s Best New Pastry Chef. This year, she’s opening a bakery & dessert bar called Bribery – I can hardly wait! Let’s see – I was born and raised in San Antonio, Texas. I went to the CIA in Hyde Park, NY when I was 19 yrs. old! (15 years ago!) I’ve loved anything and everything sweet from a very young age! I was a picky eater but always adored dessert – I wanted to be a pastry chef before I knew what that was. I’ve worked in super fancy restaurants and hotels in New York City, London and Portland, Oregon but my favorite dessert is still a brownie sundae! I think dessert brings out the kid in everyone. I feel extremely lucky to bake cookies for a living! Who inspired you to become a pastry chef and what inspires you now? My Grandmother. She was a fabulous cook and baker. She taught me everything she knew! I was lucky to find my passion at a very young age. I’m inspired by so many people and things. I especially love old cookbooks – the spiral bound kind from small Texas towns’ church groups or junior leagues. The recipes are amazing! So creative and fascinating – I love to take old desserts and make them new! I still use many of my Grandmothers recipes today! Hop over to the Austin Food & Wine Blog for the rest of the interview! Loving your posts about the festival!